Hollywood is mourning the death of Mac Miller. Earlier today, law enforcement sources confirmed to NBC News that the rapper was found dead at his San Fernando Valley home after a possible overdose. His family would later release a statement confirming the tragic passing. While the performer struggled with substance abuse, many in the music community were shocked to hear of his passing. In fact, the man behind tracks like "Self Care" and "Dang!" completed an interview with a publication just one day before his death. Ultimately, more than a few familiar faces in Hollywood are taking to social media and posting tributes and memories. Take a look at some of the heartfelt posts below. just heartbroken. what a talent and incredible human being. fly high #macmiller .. this is heart breaking. I didn’t think greeting you for the first time in the studio 2 weeks ago would be my last. Always been a huge fan x your records will go on forever ... 💕 take care of yourselves out there folks. Today is a bad dream. Thank you Mac. For being a visionary. A smiling, laughing, kindhearted individual. Thank you for being the soundtrack to my high school years. For giving me songs I knew every single word to and screamed at the top of my lungs in my first car the year I got my license. Thank you for giving me punchlines and inside jokes with my best friends. I thank you from the bottom of my heart for being such a good friend to Gerald. For making millions of people happy even when you were suffering. Check on your friends. Please. Call them. Tell them you love them. Be a resource that comes with no judgment. Let your friends unfold without feeling like they are burdening you. Rest easy, Mac. We love you so so so very much. 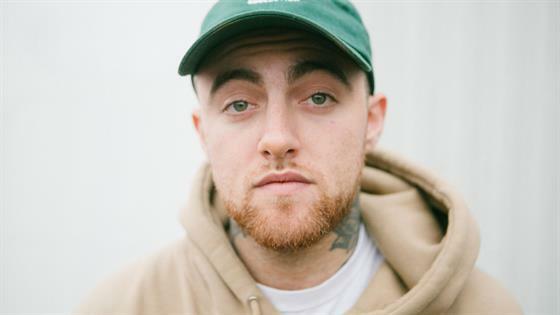 Mac's death comes just weeks before he was expected to kick off a major United States tour. The start date was October 27 in San Francisco. His most recent album titled Swimming was released this past summer and debuted at No. 3 on the Billboard charts. Our thoughts and prayers go out to Mac's family during this difficult time.